Earlier this year I got this crazy notion to ride to Austin (from my home in Colorado Springs) to visit my son and to embark on a road trip to west Texas that would include a backpacking trip into the Chisos mountains in Big Bend National Park. These photos are a record of that trip. 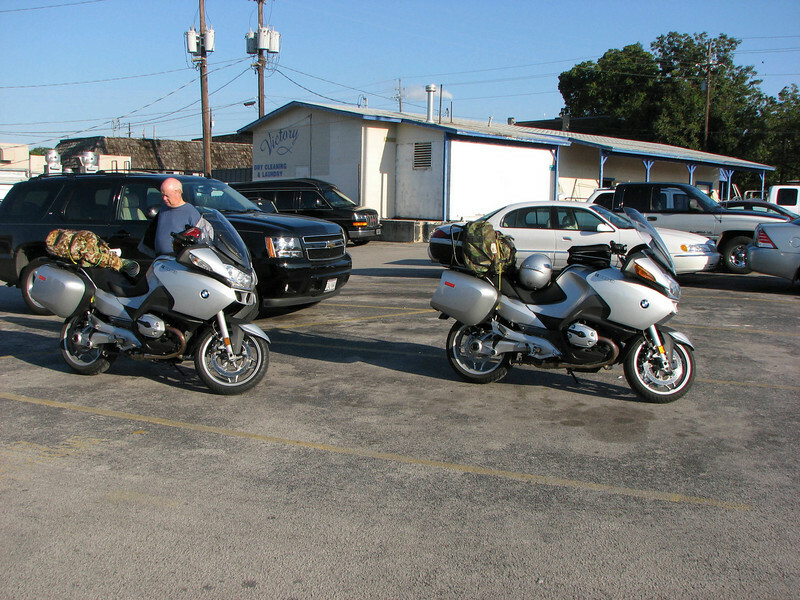 We start out on our journey from Austin to west Texas and Big Bend NP, stopping for breakfast in Marble Falls.